Colour Challenge Blog Hop: Pink! If you’re already hopping, then you just came to me from my good friend, Sharon Davern. If you’re just joining, great! Use the “next” button at the end of my post to hop all the way around. Blog Hops are full circles, so you can start hopping here and then at the end of each post there is a link to the next one. There is also a list of participants at the end in case of any broken links. My first project I am using the Ribbon of Courage stamp set with heat embossing and watercolouring. With October being Breast Cancer awareness month, this was the perfect stamp set to use! I stamped the image multiple times with Versamark ink, applied White Emboss Powder and heat set it. Then I used the AquaPainter to apply water and some ink starting with Lovely Lipstick at the top and Flirty Flamingo at the bottom until they mixed in the centre. Once these dried, I added a wash of Smoky Slate ink over the entire background. 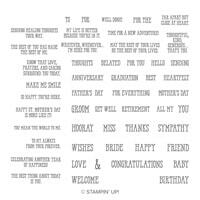 The sentiment is heat embossed with White Emboss Powder. Look at that gorgeous Lovely Lipstick 1/8″ Grosgrain Ribbon wrapped around 3 times and tied in a bow with a small piece of Gold mini sequin trim! I adore this sentiment for the inside of the card. My second project is very much a girly card, using the stamp set, Flourishing Phrases and lots of “Stella”! Can you see the Wink of Stella on the flower and leaves? It is also around the edges of the sentiment! Oh yes, I really do love my “Stella”!!! I also added some small pearl jewels for an extra feminine touch. This is all I have done on the inside of this card, as I’m not sure whether it will be used for a wedding card, special big ‘0’ birthday or something else as yet. When I know, I can add the appropriate sentiment. Birthday, Blog Hop, Designer Series Paper, Fancy Folds, Handmade Cards, Memory Keeping/Project Life/Scrapbooking, Stampin' Up! If you’re already hopping, then you just came to me from Cathy Proctor. If you’re just joining, great! Use the “next” button at the end of my post to hop all the way around. Blog Hops are full circles, so you can start hopping here and then at the end of each post there is a link to the next one. There is also a list of participants at the end in case of any broken links. My first project is a 12″ x 12″ scrapbook page of my eldest daughter when she was only 11 months old. She was already walking and into everything, so we went outside to get some winter sunshine and of course, she went straight for the flowers. 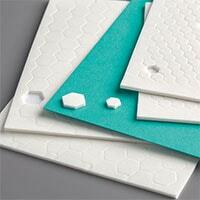 So what better paper to use than the Petal Promenade DSP! I’ve paired it up on a base of Fresh Fig with some coloured punch outs of Sahara Sand and Blushing Bride using the Tailored Tag punch. I also added the cat punch and some of the Tea Room copper metallic edged ribbon, tied in a bow. The sentiment is from the Accented Blooms stamp set and the metal rose is from the Share What You Love Embellishment Kit. My second project is a fancy fold card using the Tropical Escape DSP which coordinates with the Tropical Chic Bundle; Tropical Chic stamp set and Tropical Thinlits dies. It can be found on pages 120-121 of the annual catalogue. The colours I have used are: Shaded Spruce, Blushing Bride and Soft Sea Foam. The layering squares framelits added in the diamond formation, adds a new dimension to this fold. As you can see below, the frame is adhered to the left panel of the card and the centre piece is adhered to the right panel and slides underneath to close. with the card fully open, I have added some stamping to coordinate with the design on the front! Now it’s time to follow the blog hop to our next participant, the talented Ros! Baby, Blog Hop, Designer Series Paper, Handmade Cards, Kids Cards, Stampin' Up! If you’re already hopping, then you just came to me from the lovely, Kathryn Ruddick. If you’re just joining, great! Use the “next” button at the end of my post to hop all the way around. Blog Hops are full circles, so you can start hopping here and then at the end of each post there is a link to the next one. There is also a list of participants at the end in case of any broken links. At OnStage in April, we got the Animal Outings stamp set in our bags when we arrived and I couldn’t have been more pleased. I think everyone who attended the event were super excited that we had some Aussie animal friend images. The other great news once we got our hands on the catalogue, was that there are coordinating framelits so we don’t have to fussy cut each of the images, super exciting! So when 1st June came around, those framelits were first on my order. I have cased my cards from page 26 of the catalogue. 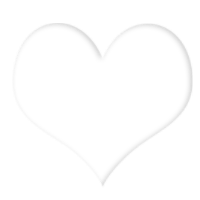 The base card is the new Granny Apple Green with the leaves die cut in Shaded Spruce. The banners are from the Nature’s Poem DSP and that small scallop edge is Blackberry Bliss (a returning colour) cut with the Decorative Ribbon Border punch. 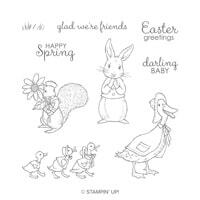 I coloured the kangaroo & koala with Stampin’ Blends and popped it up on dimensionals. See that little Blackberry Bliss heart? It was actually an extra piece left over when the rhino was die cut and I trimmed it slightly. The sentiment was stamped in Soft Suede ink. My next card uses the cute giraffe, again coloured with Stampin’ Blends. I’ve used So Saffron as my card base so the giraffe would stand out more. I’ve also used Crumb Cake and Soft Sea Foam. I love this die cut background. 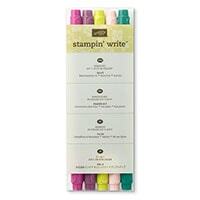 The sentiment was stamped on Whisper White and cut out with the Tailored Tag punch. The branches were coloured with a Blender Pen and inkpads and added with Tombo multipurpose glue. This last card is cased from page 48 of the catalogue (below) and it is my favourite. I wanted to make it sweet and feminine, so I have used some of the Petal Promenade DSP and a Pearlised Doilie to soften the tone along with lots of different embellishments. I stamped the rhino image repeatedly across the background of the new colour, Gray Granite, card base in the coordinating ink pad. A banner of the Petal Promenade DSP was glued down over the doilie, then a thin banner of Silver Glimmer paper. The rhino is added with dimensionals. The Share What You Love Artisan Pearls, White Dotted Tulle and a White Baker’s Twine bow finish it off nicely. Now it’s time to follow the blog hop to our next participant, the talented, Alisha Watson. Blog Hop, Butterflies, Designer Series Paper, Flowers, Handmade Cards, Stampin' Up! Tonight the Art with Heart team are sharing creative projects featuring “in color” theme. Check out the new 2018 – 2020 in colors and lets not forget the current 2017 – 2019 in colors. If you would like a copy of the 2018-2019 annual catalogue, contact any of the girls on the blog hop and we will get in touch with you. If you’re already hopping, then you just came to me from Rebecca Jacovou. If you’re just joining, great! Use the “next” button at the end of my post to hop all the way around. Blog Hops are full circles, so you can start hopping here and then at the end of each post there is a link to the next one. There is also a list of participants at the end in case of any broken links. I am so excited about the new upcoming in colors, they are just so bright and cheery and I love them all. They are just like a rainbow of colour and that makes me happy, so my first two cards use the 2018-2020 in colors! This first card I have just cut panels of card and glued them to a piece of Very Vanilla card then glued it to the front of the Lovely Lipstick (my favourite in colour!) 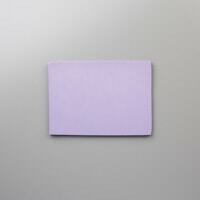 card base. A piece of Dotted Ribbon was placed across the centre. The sentiment is stamped onto a die cut from the Stitched Shapes Framelits and added with dimensionals. 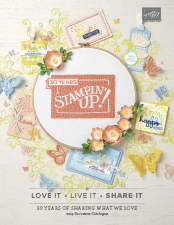 This stamped sentiment is the Stampin’ Up! Statement of the Heart and it says everything to me and everyone else on this blog hop, what crafting means to us. Isn’t it beautiful??! This next one is also using these same in colors; Blueberry Bushel, Call Me Clover, Grapefruit Grove, Lovely Lipstick & Pineapple Punch. The new Handwritten background stamp was placed in the Stamparatus to get this 3-toned effect. The Stampartus made it so much easier to ink up the sections starting with the lightest to the darkest, lining up the image perfectly. And if you haven’t got the crisp image and miss a little, you can ink it up again and re-stamp! 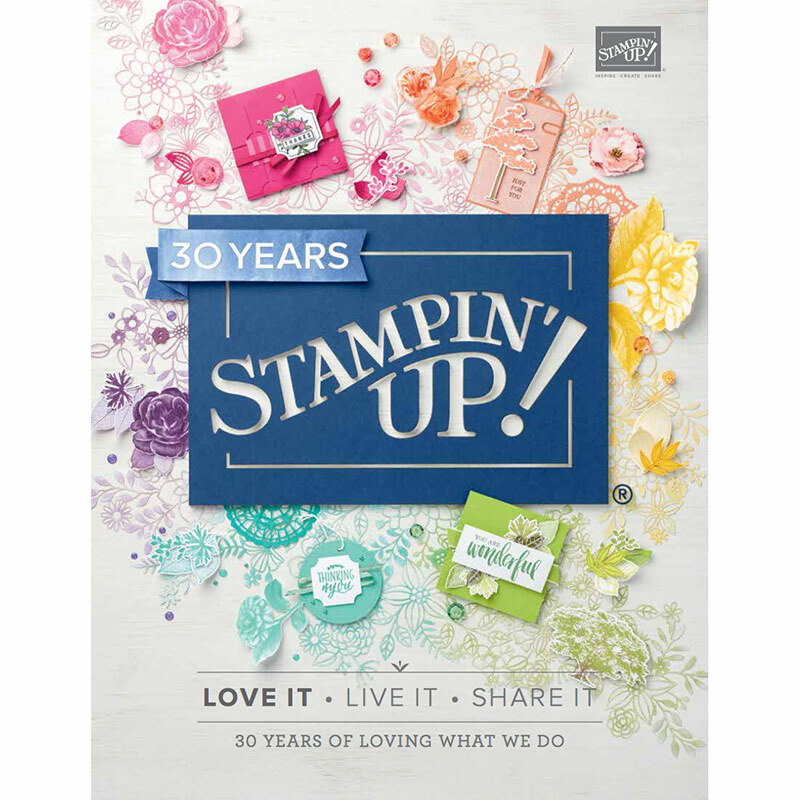 The sentiment and flower image are from the Love What You Do stamp set. Can you see the Wink of Stella on those petals? So pretty! I added some gingham ribbon and Faceted Dots. This next card uses Berry Burst & Powder Pink, 2017-2019 in colors, paired with Whisper White. Again I used the Stamparatus for the sentiment, but stamping it in Powder Pink, then using the Berry Burst Stampin’ Write marker to apply ink to the bottom of the sentiment end re-stamping for that dual tone. I have used the new Abstract Impressions bundle which will be available on 1st June. I was worried when the Butterflies thinlits were retiring, so this bundle was a must have for me! I really wanted the butterfly to be the feature, so I die cut the image in Berry Burst card and the floral image in Whisper White, the same as the card base. Check out the centre of the butterfly. Can you see what I’ve done? It’s like a handmade bead! I cut a 4½” strip of DSP, tapered off at one end. Add some glue and roll it up around a skewer. Leaving the bead on the skewer, I then added some Fine Tip glue over the entire thing to make it shiny (a bit hard to tell in the photo) and let it dry overnight across the top of a bowl before adding it to my butterfly. I glued a little twine in the top for its antennae. Now it’s time to follow the blog hop to our next participant, the talented Alisha Watson.